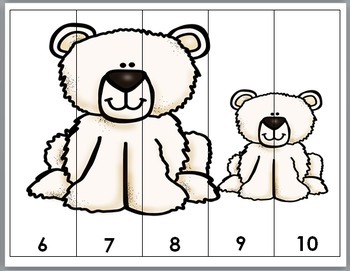 This resource contains 10 puzzles with numbers ranging from 1-5 and 6-10. Each puzzle is a full page. All you need to do is Print, Laminate, and Cut the strips. 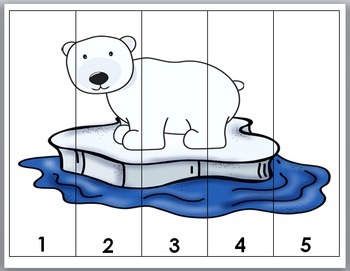 Each polar bear puzzle is divided into 5 strips. Students put the puzzles into correct number order. 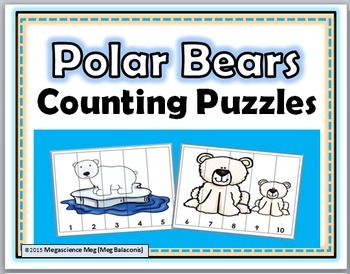 Please view the PREVIEW to see ALL the puzzles before purchasing.